– Improved layout & usability for enhanced employability. – Boost your chances of getting more Interviews & job offers. – We focus more on flexibility, personality, usability and employability over other designers and vendors. – We always try our best to help you distinguish yourself from the large number of candidates and showcase your values more efficiently and concisely. ► Be more confident and competitive in the job market! 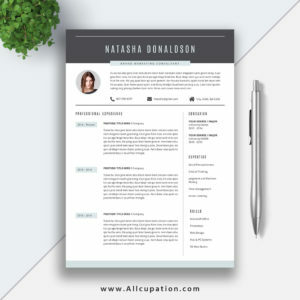 ★★★★★ Beautiful and professional resume, love the design, easy to personalize, fast and friendly customer service. Highly recommend! ★★★★★ Eye catching resume template. Super easy to edit and customize. Exactly what I needed. Thank you! ★★★★★ Love this template! Sophisticated, clean, and very easy to utilize! It’s easy to alter to fit your needs as well. 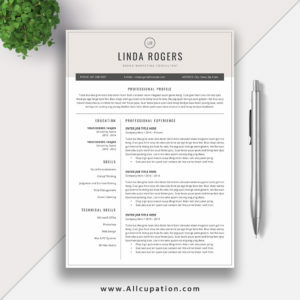 – 1 Page Resume Template in .docx format (US Letter and A4). 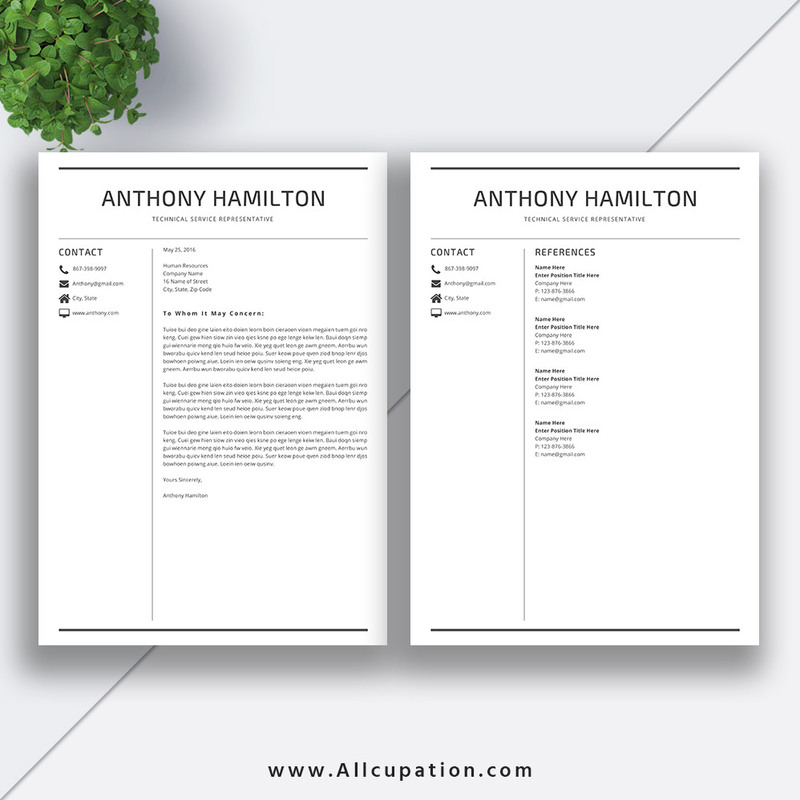 – 2 Page Resume Template in .docx format (US Letter and A4). 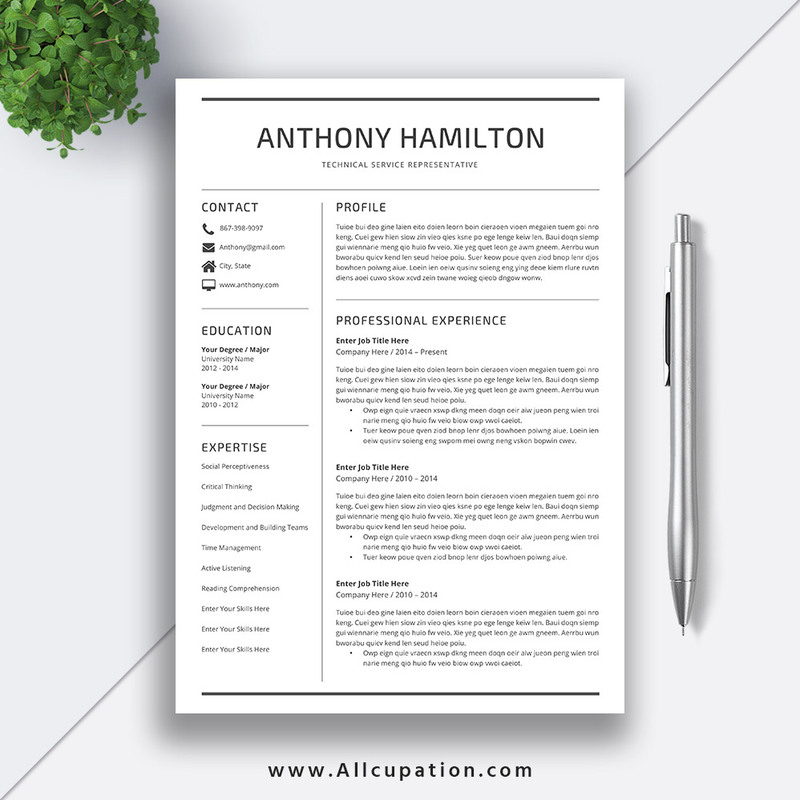 – 3 Page Resume Template in .docx format (US Letter and A4). 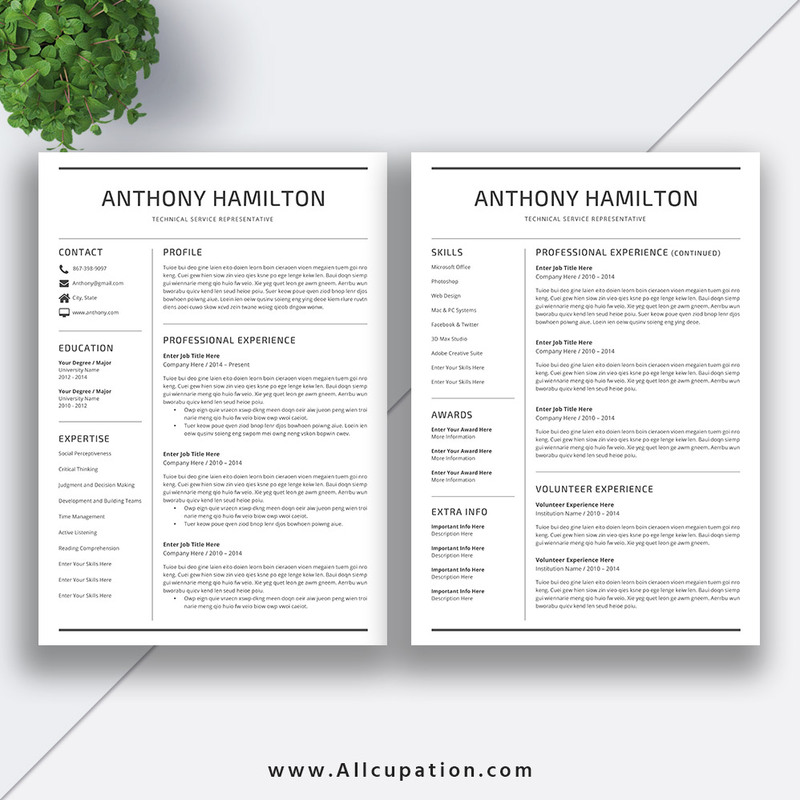 – 4 Page Resume Template in .docx format (US Letter and A4). 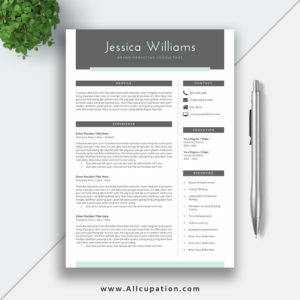 – 5 Page Resume Template in .docx format (US Letter and A4). – Extra Experience Template in .docx format (US Letter and A4). 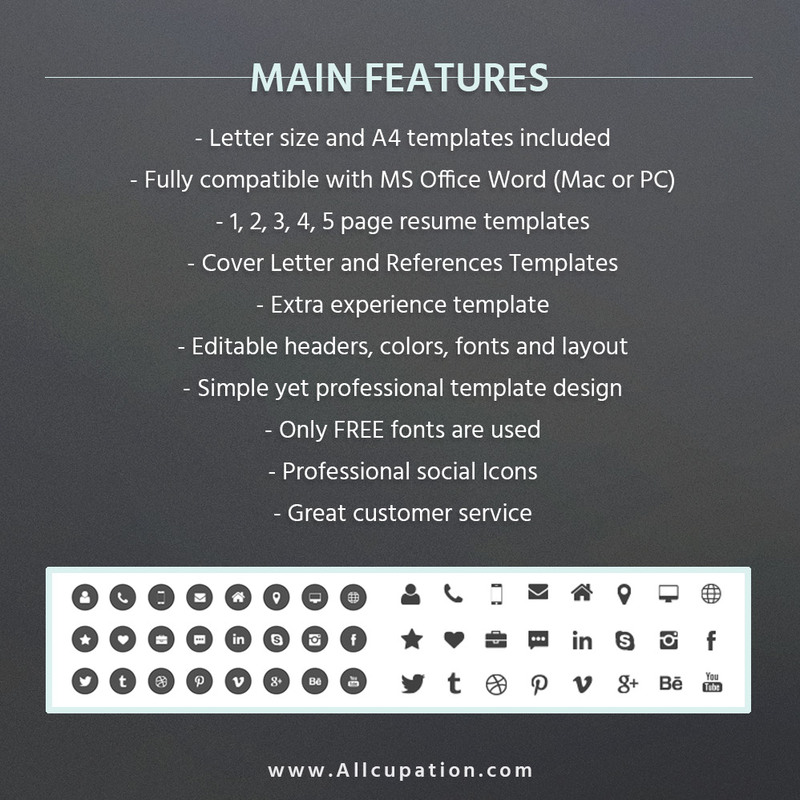 – Cover Letter Template in .docx format (US Letter and A4). – References Template in .docx format (US Letter and A4). – Fonts Collection with download links in .pdf format. – Designed for job seekers and career changers. – Fast and friendly technical and editing support. – If you don’t already have the latest version of Microsoft Word, don’t worry, you can get a free trial for Windows or Mac here: http://products.office.com/en-us/try. – For any questions you might have, please don’t hesitate to convo us. – You can also send us email and we will reply as soon as possible, typically we reply all questions within 24 hours. – All designs are copyright and original to www.Allcupation.com. – All the templates are for personal use only and can not be resold or redistributed under any circumstances.